Designer and manufacturer of piston pumps, hydraulic motors, hydro-pneumatic accumulators, and custom hydraulic component. We are helping to accelerate wind turbine installation with a line of tools that drive efficiency on the construction site. 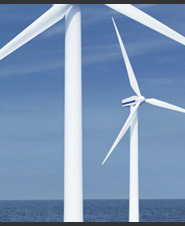 We offer advanced blade pitch control technology for wind turbines and gas and steam turbines. 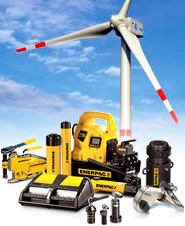 We are an independent worldwide acting, successful company of the air pressure and hydraulic tool branch. 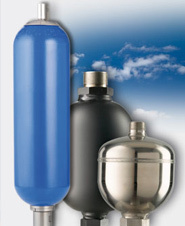 We produce hydropneumatic accumulators for equipment with hydraulic control. We design and build hydraulic systems for every application - all from one source: planning, design, installation. We offer filter systems, contamination monitoring, heating and cooling systems for wind turbine systems.